Our customer avoided a major headache when he called us because his hot water was coming out brown. Needless to say that they did not want to cook with or bathe in the rusty water. We were able to schedule a crew to handle the hot water tank replacement on a Saturday. 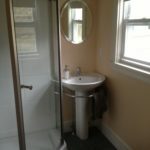 The weekend appointment fit the customers schedule perfectly and they were quite happy to have clean, hot, hot water. Our plumbers replaced the tank and were out by noon. By calling the minute they found the rusty water, we were able to avoid a flooded basement and all the headaches that come with it. Call our office at 508-875-2593 and we can discuss any issues you may be having. 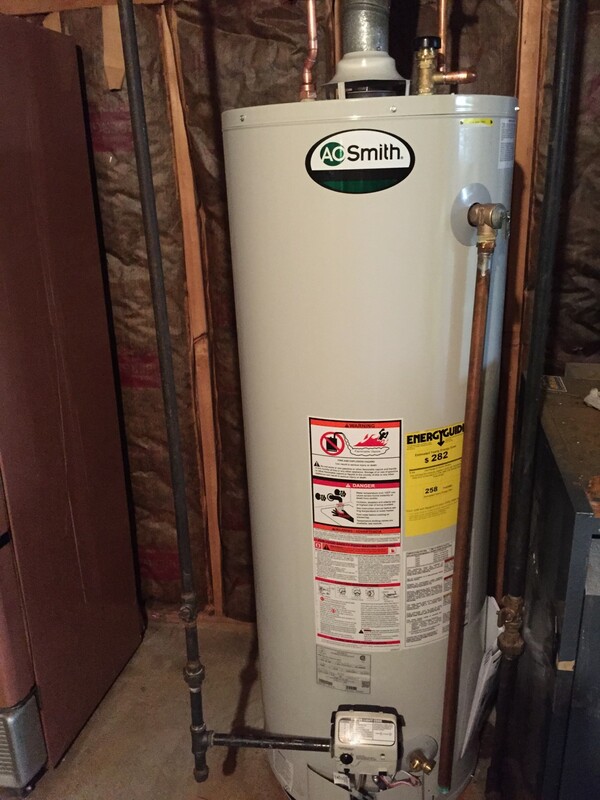 Our plumber installed this A.O Smith hot water tank in a very tight space in Framingham MA. 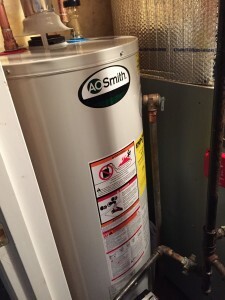 Our customer was without hot water and needed service ASAP. 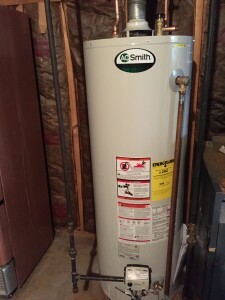 We were able to remove the leaking tank and install this unit within hours. Call out office and we can activate our emergency response team to handle all your emergency hot water issues. We can guide you through the entire process. Call our Framingham office at 508-875-2593 for assistance. If your tank is leaking, just not making enough hot water or your hot water has a rusty color, call us today to avoid cold showers or worse, a flooded basement.